Since 4th of July is Independence Day in the United States, I thought it would be a good theme for this week’s post. Although this is a United States holiday, I wish more people in the world would think of it as their holiday also. Back in the 18th Century, many expected the United States to be a beacon of freedom and also to welcome all in search of a better life to our shores. I feel at times like we have lost our way, but then something happens to reassure me we are on the right course. I guess it is a couple of steps forward and a step backwards, before we advance again. I believe the more we can do to eliminate ignorance, the fewer backwards steps will be taken. I devoted Chapter 44 of my book to the importance of taking time to study and to become more open to considering new approaches to every thing we encounter. This week’s recommendation is the book Common Sense, by Thomas Paine. I really like the Editor’s Introduction in the Penguin Classics edition of the book, since it tells the history of Thomas Paine, one of founders of the United States of America. 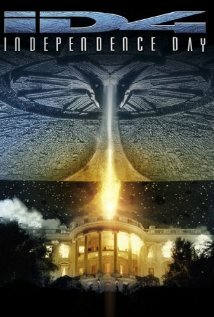 I just had to recommend Independence Day. I know the quote below is generally taken out of context and a couple of words are missing, but I believe Ben would have approved.